A bar should be a fun and safe place for customers to come and enjoy alcoholic beverages, good company, and indulge in bar food while they watch a sporting event, play trivia, or catch up with old friends. Ensuring the safety of bar guests is a crucial part of running a bar. If your guests do not feel safe while they are at your establishment, you may lose out on a huge population of customers who could make your bar a more successful enterprise. There are a few simple ways to improve safety and keep customers healthy and well at a bar. Following these guidelines will help make your bar a secure and respected establishment. The first and most important thing to do as far as health and safety in bars is concerned, to establish a list of policies that are always enforced within your establishment. If you do not have any policies, your employees will have to use their own discretion and guess when a situation is getting out of hand. This is very dangerous, as different employees will interpret situations differently. Create policies that dictate how much alcohol can be served to guests, what to do in an emergency such as a fire or a storm, and what to do in the event of a fight or brawl. It is also a good idea to add a list of important contact numbers to the policy handbook. Contact information for the local police, fire department, and bar owner should be easy to find and access at any time. The lighting and spacing in your bar is a direct contributing factor to the overall safety of your bar. If your bar is too dimly lit, customers can become disoriented and problems can ensue. Fights and brawls are less likely to occur in well-lit bars where customers are easily visible. Also, well-lit establishments reduce the likelihood of a customer tripping or stumbling over an obstruction. Tables should be spaced evenly, and there should be enough room in between tables to prevent customers from tripping over chairs. It's also important to monitor beverage consumption throughout the evening. If you serve a customer too much to drink, you may be held responsible for any actions or tragedies that result from that customer's inebriation. A bar that protects the health of its customers by monitoring alcoholic beverage consumption is an establishment that will be respected and valued by its customers. 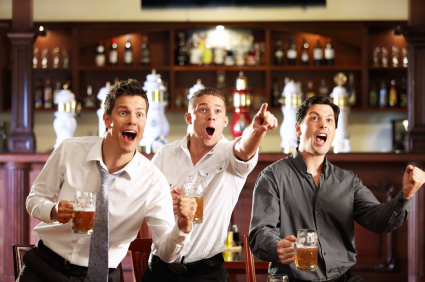 Sometimes, it is necessary to hire professional help to monitor a bar and ensure that customers are always safe. These individuals, often referred to as "club bouncers", can be used to break up fights, eject troublesome customers, or prevent too many people from entering the restaurant on a busy night of business. Club bouncers should also pay attention to female customers and ensure that they do not become prey to attackers or harassers. Good bouncers never instigate or exacerbate fights and brawls. Instead, they use measured force to quickly address problems and ensure that they do not escalate and put other customers in danger.